For Doug Ratner, dogs are more than just good pets – they’re serious business. As the founder of the website idratherbewithmydog.net, Ratner, who many Western Mass music fans might recognize from his role as guitarist and vocalist in the band Doug Ratner and the Watchmen, operates a one-stop retail site committed to providing dog (and cat) inspired apparel and accessories to animal lovers worldwide. 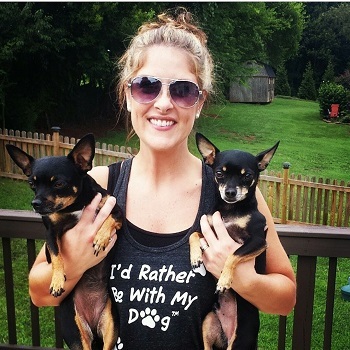 T-shirts, tank tops, coffee mugs – all these items can be purchased via idratherbewithmydog.net, complete with the site’s slogan and the customers’ choice of one of 20 different dog breeds or a more neutral paw print. Not too bad for a business whose origin stems from a single song. That song, “Dogs,” was written by Ratner in February of 2013 as a potential track for his group’s latest album Run With Me. Thus, the seeds for idratherbewithmydog.net were planted. After recording a demo of “Dogs,” Ratner refined the song with the assistance of producer Ben Jons of Stillwork recording studio in Holyoke. The tempo and certain lyrics on the track were worked on, but important emphasis was placed on making the number feel relatable to all listeners, not just dog lovers. Challenge or no, the approach worked. By tapping into his very real love of canines, Ratner struck a nerve with his listeners. Soon he was producing music videos for different animal shelters and humane society organizations across the country using “Dogs” as each video’s soundtrack. The response the videos received was so supportive Ratner decided to take the plunge and form his own business. In order to support such charities directly, Ratner vowed to donate portions of the proceeds from idratherbewithmydog.net to each group in exchange for promotion of his site and its products. One such charity that has benefitted from working with Ratner already is Peaceful Passings Senior Animal Rescue in Virginia, run by former Pioneer Valley resident Jackie Meyers. Peaceful Passings is a home-based rescue shelter, whose mission is to save senior and hospice animals by providing care for them in a home-like environment and by educating the public with grief counseling programs as well as other educational materials. Meyers first met Ratner when he emailed her to ask for some dog photos he could use in a music video for the Grey Muzzle Organization, a group dedicated to improving the lives of at-risk senior dogs. Meyers passed along some images, and after viewing the finished video was blown away by Ratner’s work. In fact, Meyers was so impressed she soon agreed to advertise idratherbewithmydog.net to Peaceful Passings’ supporters. The next step for Ratner is to spread his message to a larger audience. To do so, the “rock ‘n’ roller” turned animal advocate will be spreading the word about idratherbewithmydog.net on the Home Shopping Network’s “Pet Hour” on August 18th at 6 a.m. and 10 a.m.
Other future plans include a line of “I’d Rather Be With My Dog Treats” that Ratner says he’ll be coming out with soon, which will consist of high quality ingredients and will be grain, gluten and soy free. For dog owners, Ratner says “I’d Rather Be With My Dog” hoodies and long-sleeve shirts are in the works. 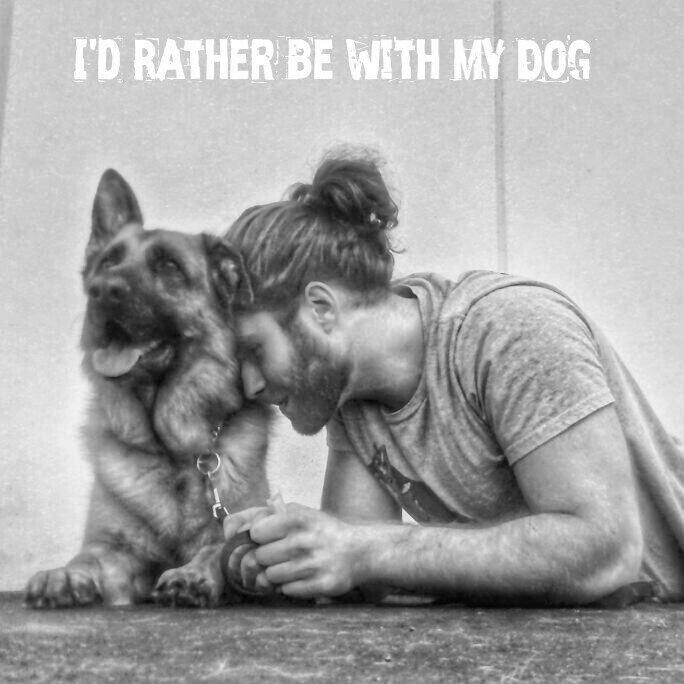 And as always, idratherbewithmydog.net will continue to expand its selection of breeds so each product can be customized for customers who want to show their love for a specific canine. For more information please visit idratherbewithmydog.net. For more on Peaceful Passings please visit www.peacefulpassings.org. With lyrics mentioning a restless teenager, a muscian’s stalker and a possible ménage à trois, the song “Late Bloomer” from indie rocker Jenny Lewis’ new album The Voyager sure doesn’t lack interesting subject matter. But according to Rolling Stone, some of the track’s inspiration has roots in fact instead of fiction. Although she describes “Late Bloomer” as a “fable, in a way,” Lewis recently revealed in an interview with Rolling Stone that the song is based on a woman she met in the ‘90s, who had a particular fascination with a former Western Mass resident. That resident is Lou Barlow, most famous in the Pioneer Valley for his work with the bands Dinosaur Jr and Sebadoh. In fact, it was Sebadoh that Lewis’ friend was following around Europe back in the day, a piece of information that Barlow himself didn’t seem to mind when Lewis told him about it. Lewis said that she told Barlow the story behind her song “right away,” before asking him to add backing vocals to the unfinished track. So does all this mean an indie rock love song featuring references to J Mascis or other Western Mass alternative kingpins like Thurston Moore or Franck Black could be on the horizon? As long as any future tracks show as much wit and charm as “Late Bloomer,” listeners should be ready for more. 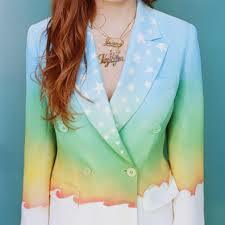 For additional information on Jenny Lewis including upcoming concert dates please visit www.jennylewis.com. And for more information on Lou Barlow please visit www.loobiecore.com.